In early December, my great-niece asked me to knit her a pair of low-cut slippers. To make sure I knew what she wanted, I did a quick search on Ravelry, and soon I understood that she wanted some "footie" slippers. I found a lot of patterns on Ravelry, but liked the Travel Slippers the best. The i-cord edging should keep the slipper snug on the foot. I borrowed the book through the inter-library loan program. I was impressed with the variety of slipper patterns in the book. The Travel Slippers are knit with sock weight yarn of which I seem to have an abundance. I asked Stephanie if she liked the colors in the Alegria yarn, and her response was, "Yes!!!" The slippers are knit flat and seamed at the heel and toe. An i-cord is then knit on the foot opening. I'm disappointed that the bright-colored yarn looks somewhat muddy in the knit fabric. Cute pattern and gorgeous yarn (but I see what you mean about it not being as bright...). I bet she loves them. Nice to see you knitting again!! I am surprised the knitted fabric is so different from the yarn, too! 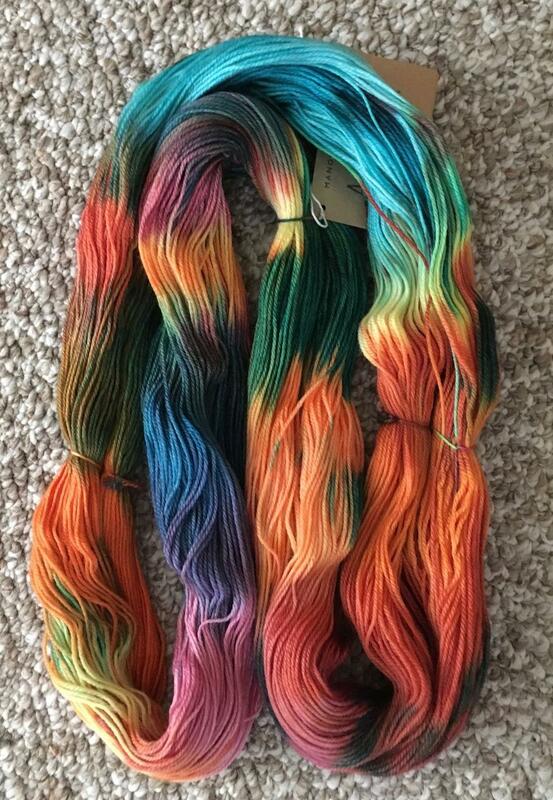 See, you never know what you have when you buy (or dye) a yarn like that! The slippers sound very interesting and the bonus is fast and pretty easy so will see how they turn out! I've had that happen with some yarns. But, in your case, it is still pretty! That brand of yarn is one of my favorites. It feels so good when you knit it and the stitch definition is nice. It's amazing how much a yarn can change in the knitting. It still looks nice now. I like the colors together. I love homemade slippers! Wheeeee!! I love that yarn!!! Rainbow colors seem to work against each other when knit but it still looks great to me. 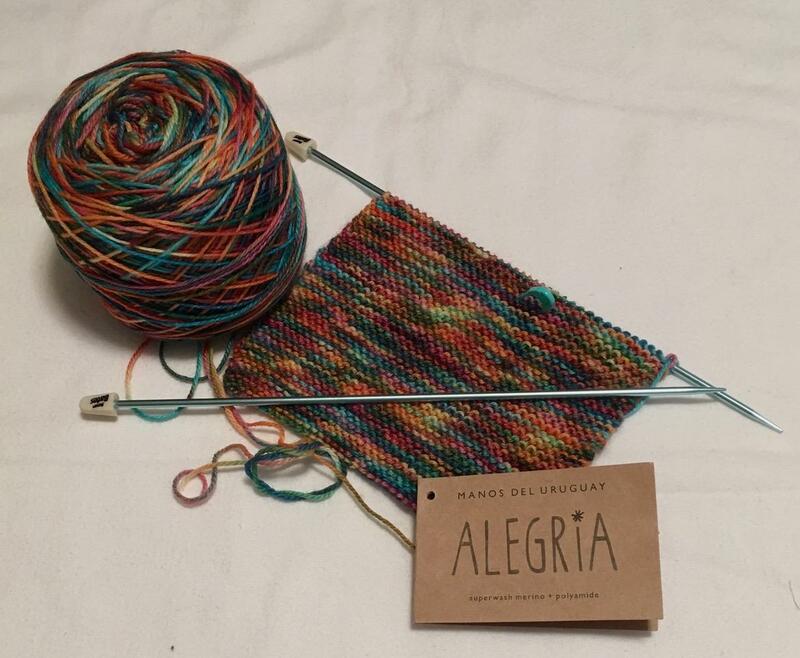 I hear you about how yarn sometimes looks one way skeined and another way balled and yet another way knit up. There must be a solution!